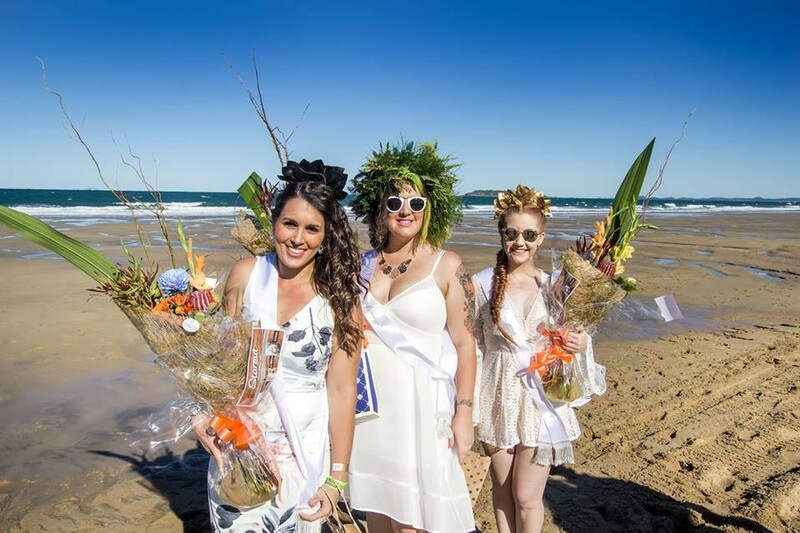 Now one of the Top 10 Social Events in Queensland, as named by the Sunday Mail, the Mackay Airport Beach Horse Racing Festival is unique, fun and growing year-by-year. Here’s a list of reasons to schedule in Mackay Airport Beach Horse Racing Festival on the social calendar. Dress up or dress down, the choice is yours. The Beach Races encourages a diverse variety of fashion from beachwear to traditional race day attire. Those who dare to be different can really stand out from the crowd at this event and the Fashions on the Sand competition showcases the cream of the crop of the fashion during the day. What’s not to love about looking out at the Whitsunday Islands and enjoying the stunning blue water of the Mackay Harbour? Going barefoot is completely acceptable at this race day, so kick off the shoes and enjoy the sand between your toes all day long. Drinking alcohol on the beach is normally illegal in Queensland, but you can enjoy the novelty (and get the photos to prove it!) of unwinding on a beach with a beer or wine at this licensed event. Depending on your ticket, you’ll also have a delicious variety of food delivered straight to your...um…bare feet. I can bet you’ll never find a horse race as unique as this! You’ll be guaranteed front row tickets where you can cheer them on as they gallop past and you may notice that even the jockeys dress down for this event. There’s a range of horse betting options available and even the most amateur of punters can have a go. The Classic Catches is also a fun feature of the day, which tests out the hand-eye coordination. There’s roving entertainers throughout the day, great local and travelling musicians and lots of fun for the kids. You can kick on after the event and really let your hair down with live music in the park afterwards. So what are you waiting for? Mark the Mackay Airport Beach Horse Racing Festival on your calendar for next year and visit The Mackay Region for ‘an event like no other’. Visit http://mackaybeachhorseracing.com.au for more information.